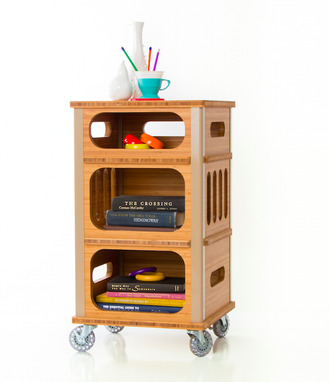 Cubist is a playful and mobile small storage unit that will follow you around the house. It's versatile function and cubic form are our tribute to midcentury modern design with a distinctly 21st century twist. 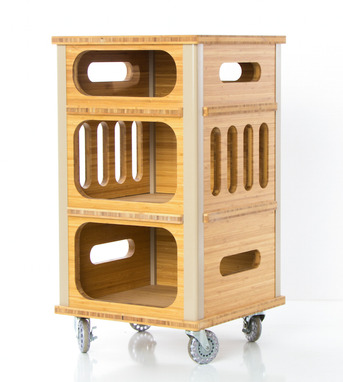 Eco-friendly bamboo is hand-sanded and finished with low VOC oil-wax for a luxuriously silky finish that is safe for our planet and it's inhabitants. 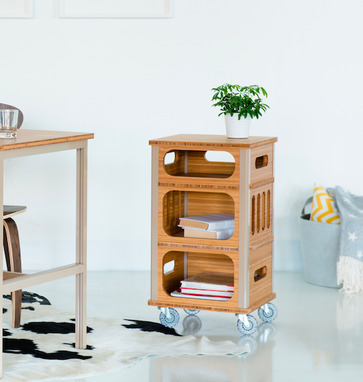 Skate-style casters add urban charm.